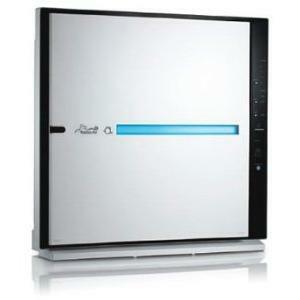 Rabbit Air is what we consider as one of the leading air purifier specialist. 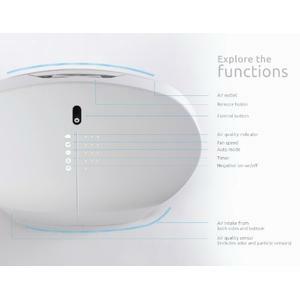 In fact, the brand’s Minus A2 is considered as one of the best air purifier for smoke and odor removal. But what about Rabbit Air’s BioGS air purifier model? What can you expect of its performance? What makes it a worthy purchase? 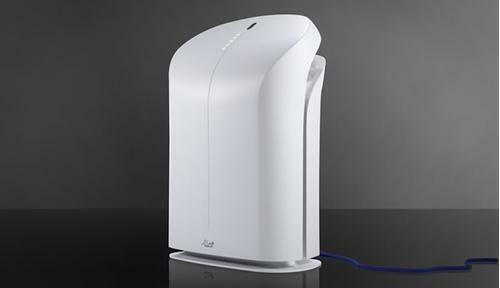 Rabbit Air’s BioGS air purifier features a 4-stage filtration system. The first stage is the pre-filter, followed by the carbon filter, BioGS HEPA filter and Negative ion generator at the last stage. Just like any good air purifier, the pre-filter is permanent but washable. At the pre-filter stage, bigger particles (dust mites, pollen and pet hairs) gets trapped and prevented from making their way further into the filtration path. The second stage comprises of charcoal-based activated carbon filter. 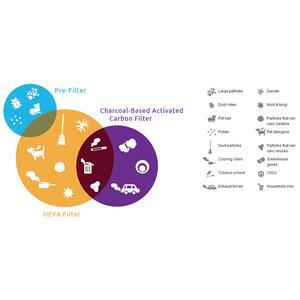 The purpose of such filter is to trap smoke, odors and volatile organic compounds (VOCs). After the second stage, most harmful particles that are bigger in size would have been trapped (i.e. removed from the air). The next stage comprises of the BioGS HEPA filter. This is probably the most crucial part that determines the effectiveness of your air purifier. 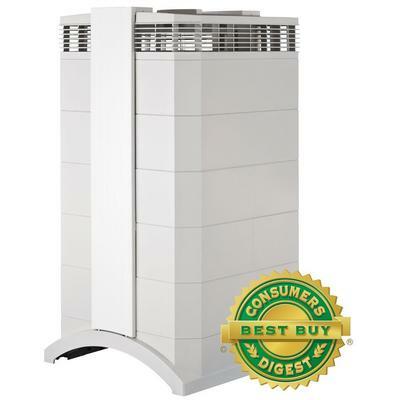 Everyone knows that HEPA filter is one of the most expensive components that makes up good air purifiers. But only few are aware that the effectiveness of HEPA filter actually degrades over time until it reaches the point where it needs replacement. BioGS is claimed to be superior compared to standard HEPA filters because the filter is designed to maintain its filter efficiency for longer period of time. What does this mean? It means that you can keep using the same filter for a longer period of time before you need to replace it. Based on the official manual, the filter only needs to be replaced every 18 months. But this is on the condition that you clean it once every 3 months and it’s continuously used for 24 hours per day. When used 12 hours daily, the filter life is built to last for 3 years. How does the BioGS HEPA filter do it? In standard HEPA air purifiers, allergens and pollutants are trapped and left accumulated on the filter. Over time, this build-up will bring down the filter efficiency. BioGS HEPA filter on the other hand, takes the additional step of reducing common allergens in an attempt to reduce the build-up over time. This explains why BioGS filter is able to maintain its efficiency level longer than typical HEPA filters. Owners who have bought the Rabbit Air BioGS rave about how quiet their new machine proves to be. It may not beat the level of quietness achieved by its sibling, Minus A2, but it is still quieter than most other air puriifers in its class. If the noise out of Minus A2 is close to inaudible, the noise out of Rabbit Air BioGS is more like white noise. I can’t say for you. But for me, I actually sleep better with it turned on. “Why are you still keeping a Pentium II machine?” That’s the question most hated by every air purifier owner but one that is commonly asked. This is understandable because almost every air purifier is built to excel in cleaning the air but not design-wise. But Rabbit Air’s design team seem to have the perfect marriage between clean air and art. It has even put up an Apple-like (Johnny Ive-style) video to explain the design thoughts that go into the making of BioGS air purifier. Latest News: BioGS 2.0 has just won one of the highly prestigious design award from by The Chicago Athenaeum: Museum of Architecture and Design. It will be on exhibition in the upcoming 2014 International Housewares Show. If you’re living with someone who is a smoker, you’d appreciate the odor sensor that comes with the BioGS. If you’re living in areas where you’d see big fluctuation in pollen counts, you’d appreciate the particle sensor that comes with the BioGS. 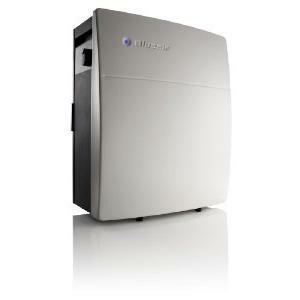 I’m an allergy sufferer and the reason why I turn to air purifier is to alleviate my suffering. I know some people will turn on their air purifiers only when they’re at home and turn off otherwise. For me, I leave it on almost non-stop 24/7. 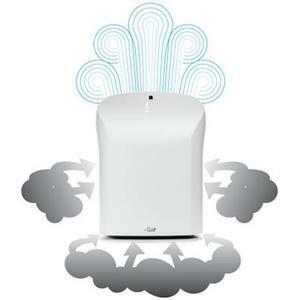 I expect my air purifier to clean the air even when I’m not in the house so that when I’m back, the air is cleaned. However, I’m often faced the dilemma of which setting I should leave it operating in. Too low a setting and you’ll not have the best air quality when you come home. Too high a setting and you’ll end up wasting electricity unecessarily. Worse still, it forces my machine to work harder than is necessary which might reduce the lifespan of the whole thing. The particle and odor sensor is marvelous because it will automatically adjust the fan setting according to the environment condition. 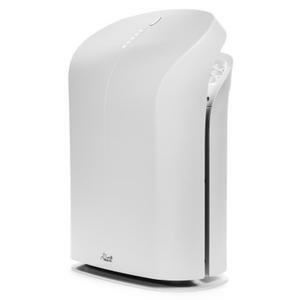 If you go through some of the recent air purifier reviews that discuss the Rabbit Air BioGS, one of the most common complain shared by owners who have bought this air purifier is the appliance’s effectiveness in removing odor. A friend of mine recently purchased this same unit and he is not too happy with its odor removal either. That prompted me to dig deeper in order to shed light into the matter. I found out that the BioGS has in fact, not been touted as an odor air purifer. Instead, it is touted as ‘Ultra Quiet Air Purifier’. What I also found out is owners’ expectation is not entirely dumbfounded. Their hope and expectation has been set high by the presence of the carbon filter that is part of the 4-stage filtration system. Make sure you set your expectation right. Remember that for Rabbit Air’s Minus A2 model, we have the extra customizable filter where we can choose the odor filter. With the addition of such filter, the odor removal effectiveness is improved quite considerably. The other complain of the BioGS that you’d heard often is its price. I agree and I had the same wish as you. I wish the Rabbit Air BioGS had been cheaper (and friendlier to my wallet). But think about this. If you were to choose between the following questions, which would you choose? Question 1: Hey Tom! Why are you still keeping a Pentium II in the house? Question 2: Hey Tom! You’ve got yourself a beautiful toy. It’s like one of the furnitures found in W hotel. You’ve now seen the Rabbit Air BioGS in great details. I hope you have the right amount of information to decide for yourself if it makes a worthy investment or simply a wasteful spending. This is unarguably a great machine. But have you ever found yourself having to choose between the latest (but expensive) iPhone vs cheaper phones? It is pretty much similar I guess.